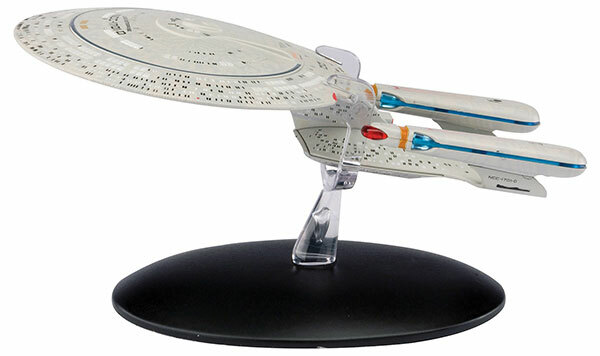 The first model in the Star Trek Starship Collection from Eaglemoss is the iconic Galaxy-class U.S.S. Enterprise NCC-1701-D that navigated seven seasons of Star Trek: The Next Generation. This detailed and faithful replica has been sculpted, die-cast and painted using references from CBS Studios' own archives of designs, physical and CG models.